The Atlanta Foundation for Public Spaces announces the return of the Piedmont Park Arts Festival on Saturday and Sunday, Aug. 18-19, 2018! 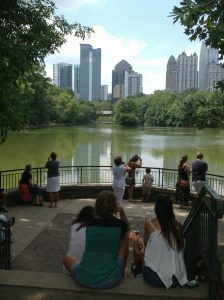 With an emphasis on the visual arts and family fun, the ninth annual event is held in Piedmont Park, one of the most respected and beautiful public parks in the City of Atlanta. This year’s two-day event will feature 250 painters, photographers, sculptors, leather and metalwork artisans, glass blowers, jewelers and crafters. Festival goers can also enjoy artist demonstrations, live music, an expansive artist market, children’s play area, festival foods and more. Furthermore, the festival is free to the public, the event is open to all ages and pets are welcome. The festival is also rain or shine. 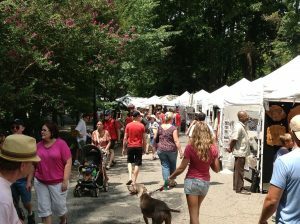 For more information, visit www.piedmontparkartsfestival.com.